Here are some of the products and services that we offer to increase your company's brand identity. Plastic Cards - 20pt. and 30mil. Silk Cardstock - 16pt. / 32pt. / 48pt. Suede Black Cardstock - 22pt. Thick Cardstock with Black Painted Edges - 32pt. The spa menu design reflects the perfect balance retreat that brings beauty, relaxation and rejuvenation which showcases Prado Spa and Salon's services. 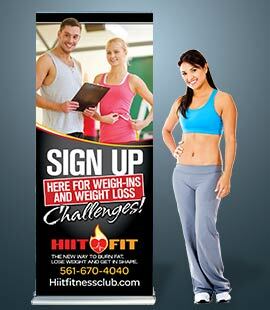 Hiit-Fit's goal was to make a visual impact that delivers a marketing message with a punch! They ordered the premium retractable banner stand that comes with a life time warranty and a hard carrying case that makes it easy for traveling to marketing and trade show events. 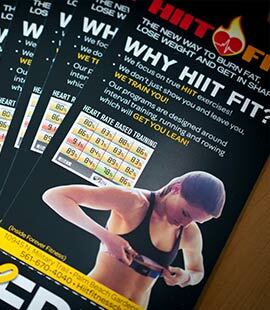 This card has a tear off tab for Hiit-Fit's guest to use for two complimentary sessions. 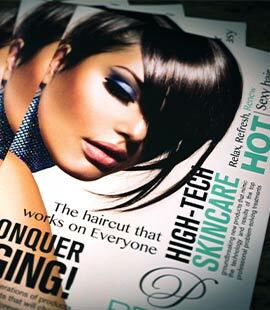 The tear-off tab can be used as a coupon, business card or anything else you have in mind. 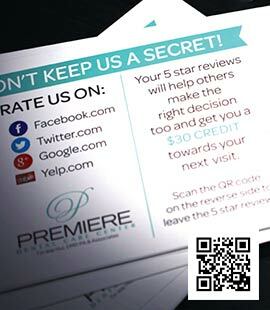 We wanted to make it easy for Premiere Dental Care's patients to leave a review at one of their four locations. In order to do so, we added a QR Code that is linked to their website page that includes all of their social media and directory links. This is a great way to reach to your customers via smartphones! Make sure not to leave your house or office without your business cards. Don't take a chance to be forgotten when a prospective customer departs from your presence. 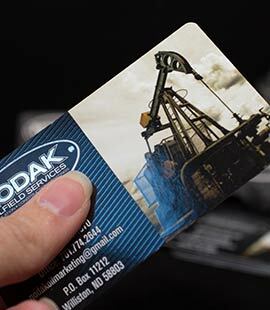 NoDak Oilfied Services wanted a business card that stands out in the crowd and that's exactly what we aimed for when designing and printing these cards. 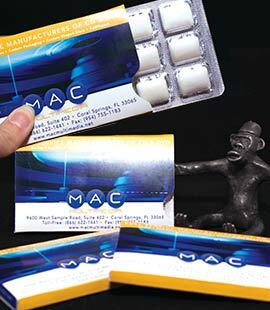 Imagine going to an trade show to hand out gum packages with your company logo on it! You definitely will impress your contacts. Each gumvelope includes 12 pieces of gum in a foil, pop-out package that slips into a full color sleeve.